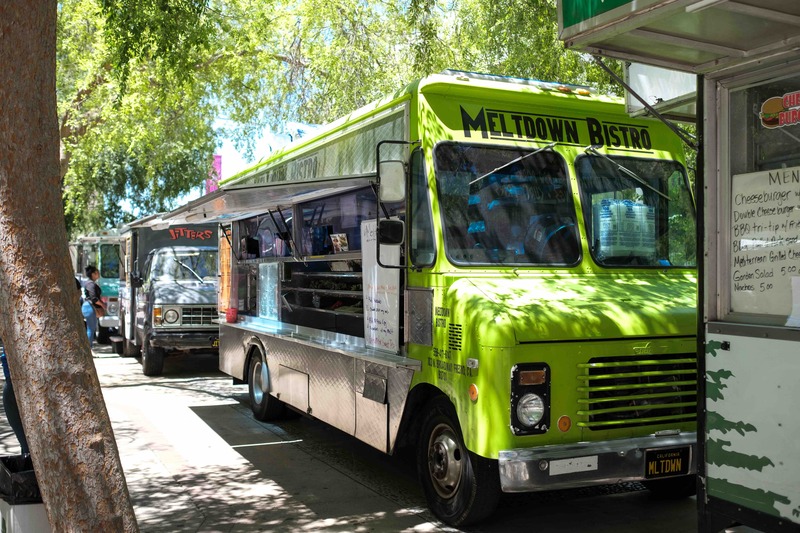 Downtowners know- there isn’t a shortage of food options along Fulton Street. 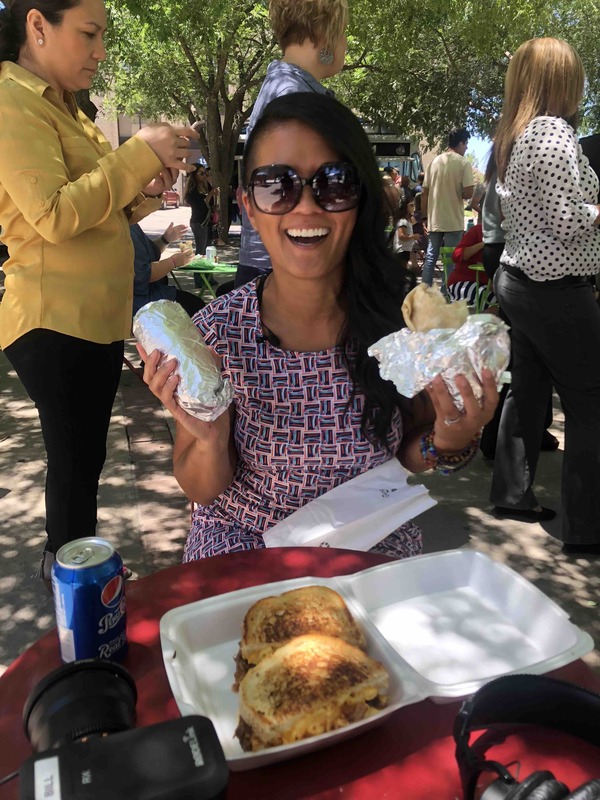 Once a week, the Downtown lunchtime crowd – including some of us at the TW Patterson Building– is treated to even more on Thursdays, thanks to CArthop. 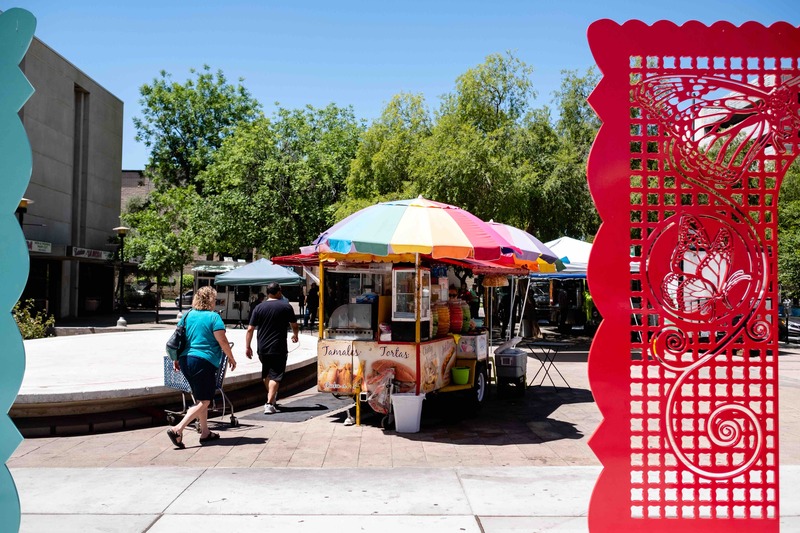 This event, organized by the Downtown Fresno Partnership, got its start about 8 years ago as a way to showcase the diverse foods being prepared in Fresno, while bringing more people Downtown and creating a boost to the local economy. The construction project to bring traffic back to Fulton led to CArthop being moved from its former location at Fulton & Merced to its new home at Mariposa Plaza.. But this ended up being a blessing in disguise: relocating meant having more space for food trucks (and their hungry customers!). 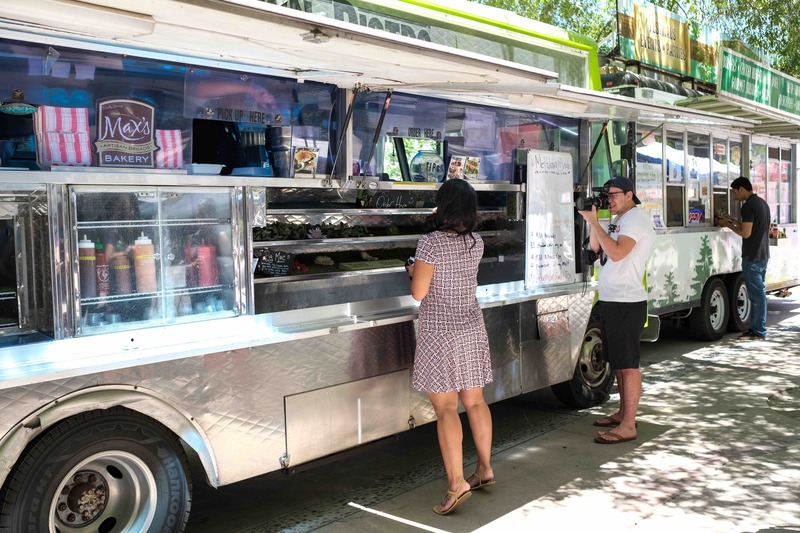 At Mariposa Plaza, up to 8 different food trucks can park for the duration of the event, providing a bigger variety of food. Another change included rotating the trucks being featured at the event, each month. 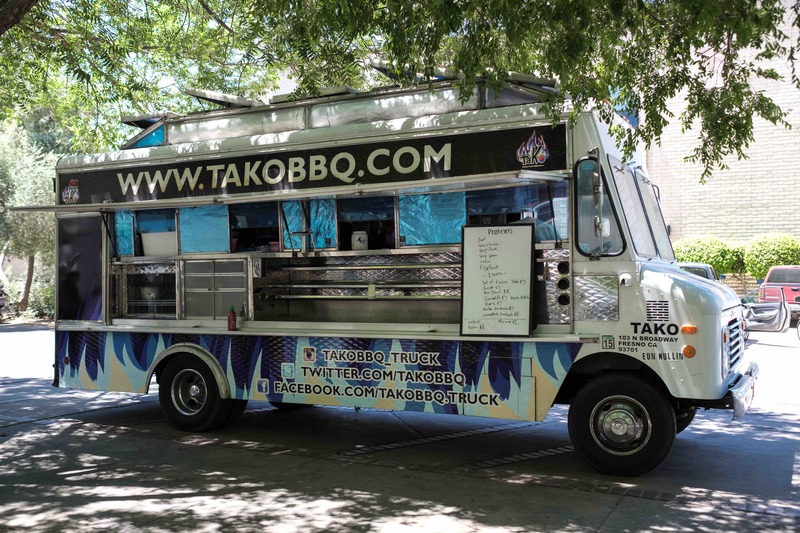 lot of newer eateries popping up,” says Tony Mullings, Manager of TakoBBQ. 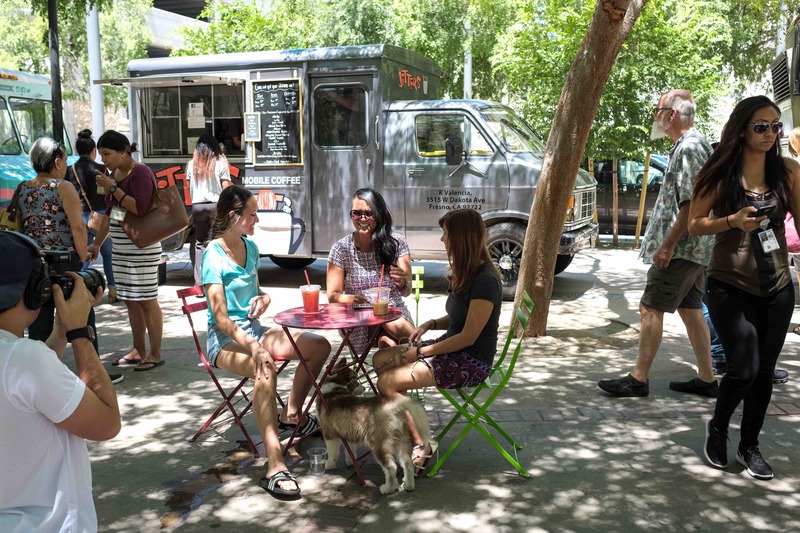 owners say they’ve noticed business for them is slightly lower on Thursdays because people are getting their meals from the food trucks instead. 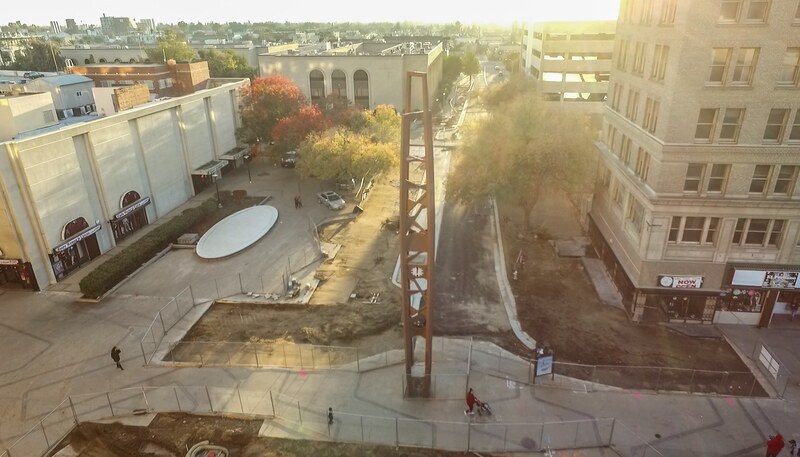 the event is to bring vibrancy to Downtown Fresno,” according to Hovhannisyan. 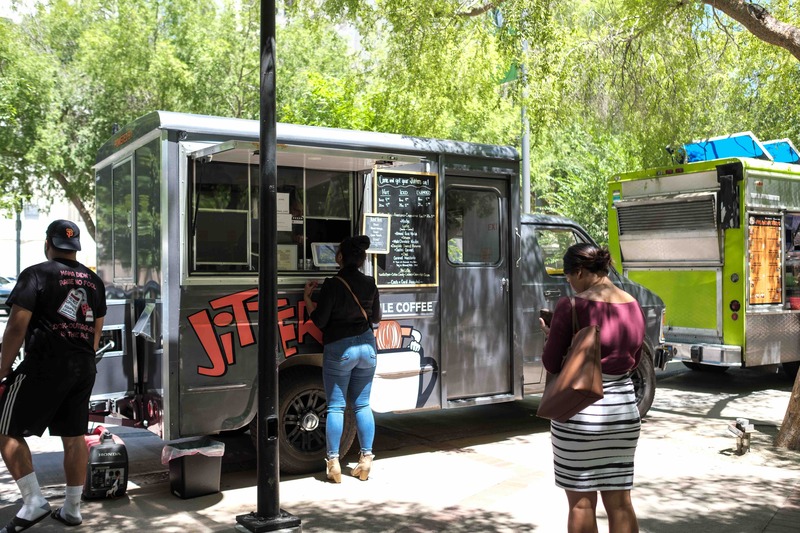 their mission to serve the Downtown Fresno and Fulton Street community, including those who work in the area. 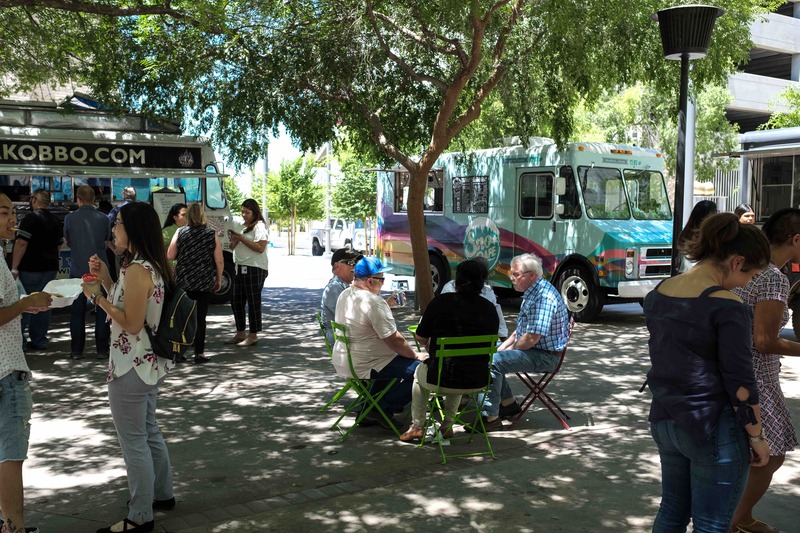 CArthop runs every Thursday, rain or shine, at Mariposa Plaza from 11 am to 2 pm. It’s open to the public (dogs too!) and features free live entertainment from local DJs and musicians. 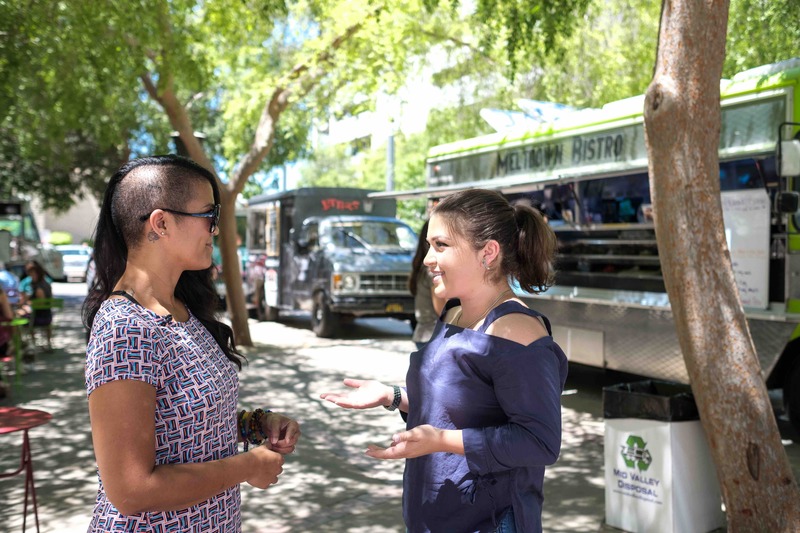 The featured food trucks change each month, and the schedule is always posted on CArthop’s facebook page.